The historic Searles School and Chapel will be converted to an art gallery on Saturday, October 20th. 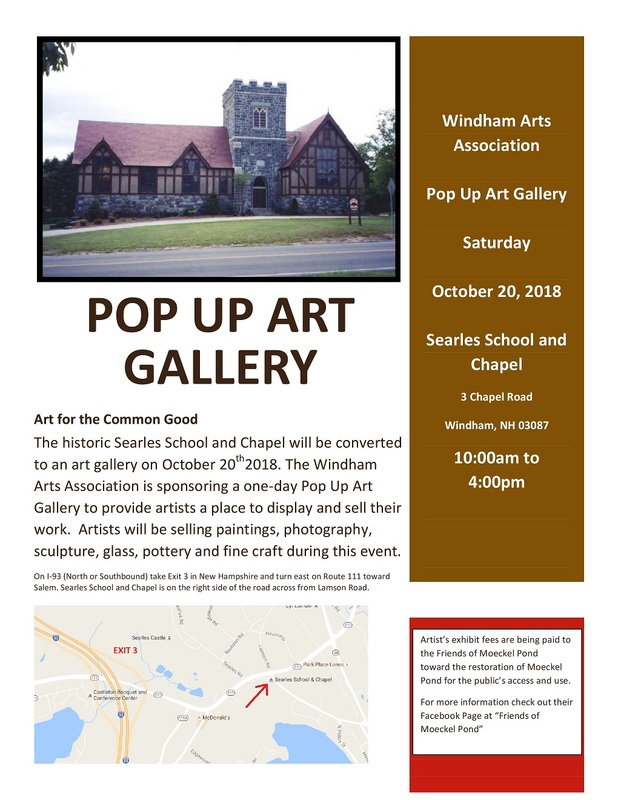 The Windham Arts Association is sponsoring a one-day Pop Up Art Gallery to provide artists a place to display and sell their work. Artists will be selling paintings, photography, sculpture, glass, pottery and fine craft during this event.